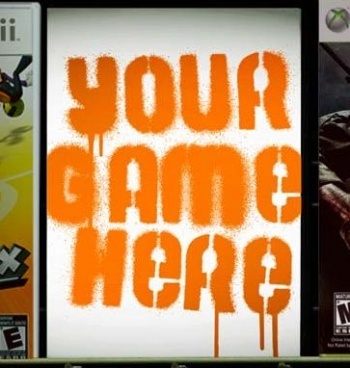 Entries are now being accepted for the 2012 Indie Game Challenge run by the Academy of Interactive Arts & Sciences. Who here hasn't at least considered the idea of buckling down and making your own videogame? For me, the stumbling block was my complete lack of the coding fu necessary to even print my name on the screen using Basic. (Ok, I can do that.) But if you have the chops, and a great idea for a game design, you have until October 3rd to submit your game to the Academy's now-annual Challenge. All you need is a working beta copy of your game and a video pitching the concept, and, if picked, you might earn the grand prize of $100,000 in cash and scholarships for the SMU Guildhall game design program. The total prize pool available is $250,000, which I assume will be split among the top three finalists. Previous challenges organized over the last two years have proved a success for generating excitement for independently created games. "Since we announced the kick-off of the Indie Game Challenge almost two years ago, the response from the development community has truly been extraordinary," said Martin Rae of Academy of Interactive Arts & Sciences. "We have seen such a wide range of creativity and artistic talent from all over the world, and it is our hope that IGC continues to grow and attract the best and the brightest from the independent video game development community." Finalists will be invited to Las Vegas to attend the DICE conference for the award ceremony, and their videos will be featured on GameStop.com where users will be able to vote for the People's Choice Award. Maybe you're not gonna make the next Minecraft, but submitting your game to the 2012 Indie Game Challenge is certainly a good first step in making your dreams of making games for a living a reality. Anybody want to be my code minion and make the game from the concept I have in my head? Elevator pitch: You're in a world beset on all sides by the iniquities of the selfish and the tyranny of evil men. Go! For more information, head over to Indie Game Challenge website.